This regular breakfast event proves why the early bird gets the worm. The Business Before Nine breakfast series replaces eggs n’ icons as a go-to opportunity for business professionals to network and stay informed. Each event will feature a networking period with coffee, plated breakfast service and a keynote presentation from a high-caliber speaker. These premier business awards are an opportunity for your business to be honoured for its achievements and milestones. 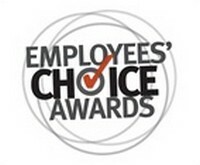 In addition to the Lifetime Achievement Award and the CEO of the Year Award, there are multiple award categories that provide a platform for your company to be recognized. Ever wish you could peek inside the mind of a local CEO? 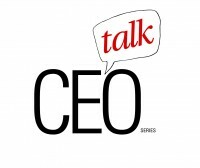 Join the business community as CEOs, past and present, talk about various business related topics, and listen as they share their personal stories of success. This stimulating series aims to provide a forum for participants to gain valuable insight on achieving growth and advancement in their own professional activities. The Fastest Growing Companies awards program invites local companies to nominate their organization for recognition of their achievements. No matter what industry you’re in, if you’re a start-up or a seasoned player, your company may qualify for the prestigious Ottawa's Fastest Growing Companies award. 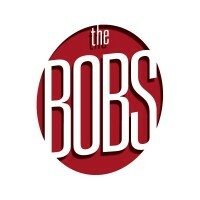 The event includes an awards reception that celebrates and honours the year’s winners and their business accomplishments. Join Mayor Jim Watson in this high-profile breakfast series, where issues vital to Ottawa's prosperity and quality of life are presented. Focusing on issues such as economic development, transportation and the environment, this breakfast series provides an opportunity to network and stay informed. Presented eight times annually, the Mayor’s Breakfast Series is a popular event, where guest speakers include high-profile political, business and community leaders. Mayor Jim Watson also updates attendees on recent City Hall issues and initiatives. This annual golf tournament attracts Ottawa's top business leaders and covers two exclusive 18-hole private courses. This tournament is one of the largest in Ottawa and provides ample opportunity for networking and business development. Attracting top corporate executives, entrepreneurs, local politicians and community leaders, chamber members and their guests will be privy to unique entertainment and networking while playing one of Ottawa's best courses. This annual breakfast event breaks down a survey covering the concerns of the business communities. Join speakers and analysts who break down concerns ranging from talent and skills training to quality of living. This luncheon event examines the trends and opportunities in the city's business sector and provides insight into Ottawa's economic future. A panel of economic and business experts provide an in-depth analysis of Ottawa’s economy. The Mayor of Ottawa also provides an update on the state of the economy. 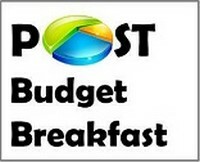 This highly anticipated breakfast event takes place the morning after the Canadian federal budget is released. The event delivers a detailed breakdown of the budget and what it means for the business community. A panel comprised of economic experts and guest speakers provide insight into the budget and give an in-depth analysis on how the federal budget will affect the local economy for the year ahead.